U.S. drug reviewers on Tuesday said Roche Holding AG’s eye drug Lucentis (ranibizumab injection) appeared to help patients with diabetic macular edema (DME), but questioned whether two different doses of the drug were equally safe and effective. Staff from the U.S. Food and Drug Administration reviewed Lucentis ahead of an advisory panel of outside experts, which meets on Thursday to vote on whether to recommend approval of expanded use of the drug, which is administered monthly by injection. 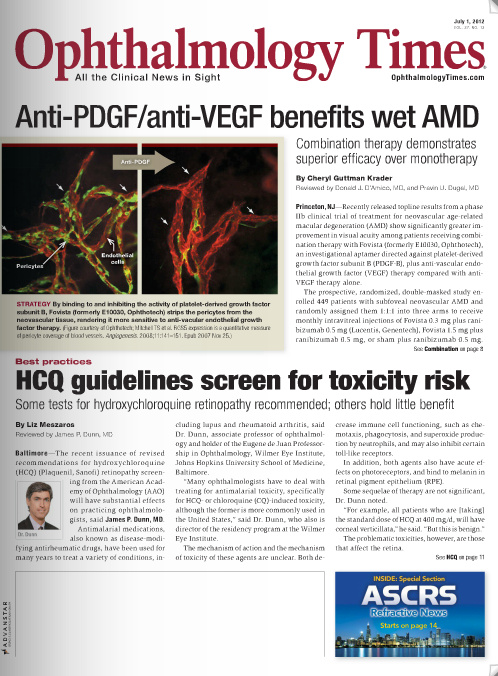 Lucentis is already approved to treat wet age-related macular edema. It is also approved for macular edema following retinal vein occlusion (RVO). Roche is hoping to expand its use to people with diabetic DME, the most common cause of moderate vision loss in patients with diabetes. There are currently no FDA-approved drugs for DME, a leading cause of vision loss among people of working age. DME is currently treated by laser, which stops blood vessel leakage and can slow vision loss but rarely leads to vision improvement, Roche said. In clinical trials Lucentis, made by Roche unit Genentech, helped patients see at least 15 extra letters on an eye chart, the primary goal of the study, FDA reviewers said. People were also generally able to sustain the improvement in vision for at least 24 months — although those who took the 0.5 mg dose lost a bit of vision after the 18th month. Both doses (0.5 and 0.3 mg) were generally safe, although there were slightly more deaths at the higher dose — 11 people who received the 0.5 mg dose died during the clinical trial, compared to seven taking the 0.3 mg dose and three receiving a sham injection. Each group contained 250 patients. The FDA will ask advisers to recommend whether both doses of the drug should be approved for use against DME. Copyright © 2012 Reuters Limited. All rights reserved. Copyright 2012 Thomson Reuters. Click for Restrictions. From femtosecond platforms to how cataracts effects driving, eye-care news in regards to cataracts has been quite eventful this year. The following links are to our hand-picked cataracts news pieces from Ophthalmology Times that we think you’ll be interested in.